When child care costs more than rent, women stay at home. Day care: Fun, enriching, necessary, totally unaffordable. The percentage of mothers who stay at home with their children has been on the rise since 1993, and it’s not because formerly career-driven women have suddenly woken up to the joys of full-time baby bonding. In nearly 81 percent of U.S. towns, the average price of two-kid child care costs more than rent, which can make working a full-time job seem like a poor economic decision. 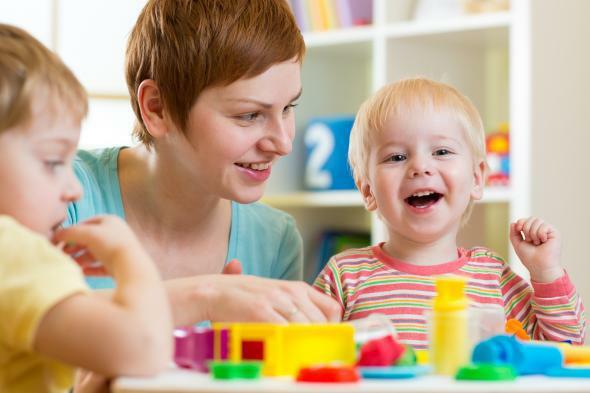 According to the Department of Health and Human Services, expenses related to child care (day care facilities, babysitters, and nannies) should not exceed 10 percent of a family’s income. For its new study, the Economic Policy Institute used its family budget calculator to compare “the income families need in order to attain a modest yet adequate living standard where they live” with how much child care costs in their respective communities. The stats are an effective argument for birth control among people of reproductive age who hope for financial security. Since the end of 1990, consumer prices have risen 76 percent, compared with a 168 percent jump in child care and nursery school costs. Today, residents of Binghamton, New York, pay three times their rent for child care, the worst ratio in the country. San Francisco seems like a steal—child care costs just half as much as rent in the city—until you consider that renting a spot in a bunk bed can cost nearly $1,000 in that farcical housing market. The cheapest child care on average in the nation, without adjusting for income or cost of living, is $344 per month in rural South Carolina. The most expensive costs $1,472 per month, in Washington, D.C. A single parent with two children aged 4 and 8 will spend a minimum of 11.7 percent of his budget on child care in New Orleans, or as much as 33.7 percent of his budget in Buffalo, New York. Infant care is even more expensive: In 33 states and D.C., parents of an infant will pay more for her care than for in-state tuition at a public college or university. With kids sucking up so much of the family income with their pesky supervision needs, it’s easy to see why some parents opt out of the workforce to care for their kids on their own. And for a myriad of complex and intersecting reasons—cultural norms, the persistent wage gap, a pipeline that keeps men in business leadership positions, the likelihood of the baby’s initial primary caretaker to continue in that role—women are usually the ones who quit. This can hurt the family’s financial well-being far into the future: A woman’s earnings drop 10 percent for every two years she’s out of a job. Politicians know there’s a dire shortage of affordable child care in this country. President Obama called it a “must-have” in this year’s State of the Union address, and New York City Mayor Bill de Blasio has made universal prekindergarten a hallmark issue of his tenure. Any leader who pays lip service to the idea of equal opportunity should know that the effects of exorbitant child care costs are doubly damaging to poor families, who spend four times more than wealthier families on child care as a percentage of their incomes. The Economic Policy Institute found that a full-time worker who makes minimum wage in Hawaii ($7.75, the country’s median minimum wage) would have to devote nearly 75 percent of her annual income to child care. It stands to reason, then, that women with children are making smart, but difficult, financial choices—not just personal or emotional ones—when they don’t work outside the home. According to a Pew study from last year, 12 percent of working mothers are living in poverty, compared with 34 percent of stay-at-home mothers, upending the conventional wisdom that only rich women can afford to stay at home. Expensive child care doesn’t just keep women out of the workforce and hamper their autonomy—it sets off a ripple effect that sustains a system of income inequality, making both child-rearing and working outside the home privileges of the rich. Update, Oct. 9, 2015: This post has been updated to clarify that the figures for child care costs are based on the average in each city as provided by the Economic Policy Institute.